Board and Train: What Can You Expect? Who will work with my dog? Will I get to see my dog? 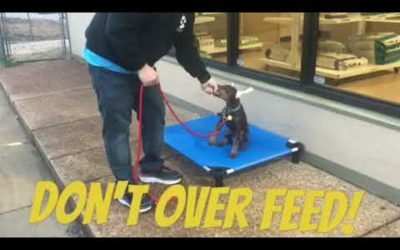 How do you handle fearful dogs? What Does a Training Day look like? Should We Get a Second Dog? Who is the Protector in Your Relationship? West Tennessee K9 – Dog Training and Rehabilitation, was founded by Terry Harris. West Tennessee K9 is located in Memphis, Tennessee. We offer puppy foundation programs, basic obedience, advanced obedience, E Collar training, aggression rehabilitation, and behavior modification. All are Board and Train programs; however, we do offer private one-on-one sessions. Dog training is more than teaching a dog to sit, stay, lay down, and come. Dog training is about leadership and relationship. 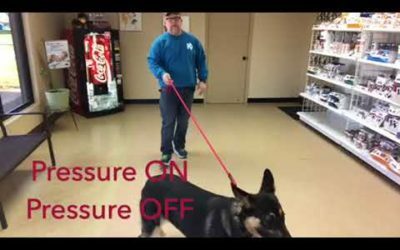 Whether you need general obedience, or behavior modification, it is likely that West Tennessee K9 has a program to fit your needs and budget. Our programs are designed not only to work on skills, such as sit, down, stay, etc. They are designed to work on a dog’s state of mind. In addition to training the dog, it is also very important to educate and train you, the owner. We empower dog owners to be strong, prepared, and educated leaders, in their dog’s life. West TN K9 was founded on the principles of trust, communication, and relationship. We understand that your dog is a part of the family, and should be treated as such. Before, during, and after training, we send videos and written material, to educate you on the process of your dog’s training. We do our best to educate you as we go, so after your dog comes home, it doesn’t seem so overwhelming. We keep everything super simple and easy to understand. After the training, our relationship isn’t over. We are always available for questions and problems solving. Our primary goal is to help people. We also understand, hiring a trainer isn’t for everyone. There are do it yourselfers, and folks that aren’t in a financial position to hire us. To overcome this, we do loads of free and helpful articles and videos. We do this, primarily through social media. Be sure to look us up on Facebook, Instagram, and YouTube. Click any of the images below to learn more about our services. We had a private session with Terry in our home for our Great Dane puppy. We are highly recommend it! Terry was able to see our puppy behavior and showed us how to correct it. He talked to us about different things and went far and beyond to explaining things to us. It took our little guy just a couple of days to figure out that short leash means just for walking slow and long leash for play. It is amazing what a right kind of leash can do for your puppy! We will definitely be back if we have more concerns and highly recommend Terry! We are so pleased with Terry and the progress he made with Boone. We have been shocked with his change in behavior after only two short weeks. We know that we will have to keep it going now that he is home but that has been made so much easier by the foundation that Terry built. I wholeheartedly recommend Terry and his program to anyone who is looking for a good training foundation to build upon! Can’t say enough good about Terry and what he does! Our 2 year old Doberman stayed with him for a week about a month ago and the results are phenomenal! He had a laundry list of issues when we dropped him off and today, he is truly a different dog. We get so many compliments on him from people that knew him before his training. Something Terry told us is that training will have to continue once you get home but he equips you to know how to keep it going. I would recommend West TN K9 over and over again! Thank you Terry!